Here’s a special peek inside the Walt Disney Elementary School in Marceline, Missouri, the city where Walt Disney began his childhood education. When the city decided to name their elementary school Walt Disney Elementary, Walt was so touched, he attended the dedication, and brought gifts. He presented the school with a 55 foot flagpole from the Squaw Valley Winter Olympics for which he was “Chairman of Pageantry.” He also gave them an entire set of encyclopedias, and a specially designed playground. 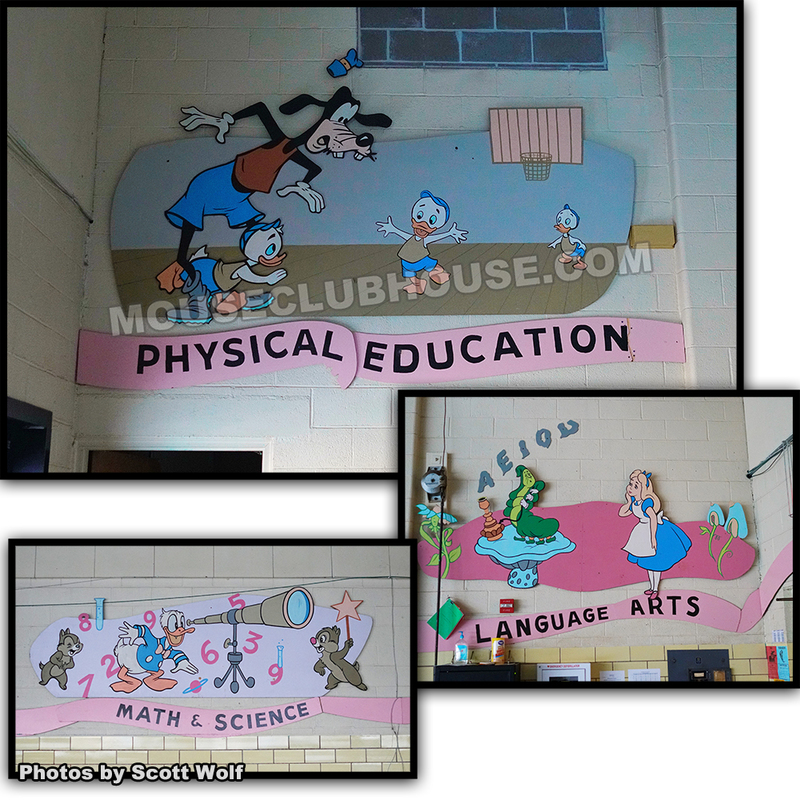 Walt also had artist Bob Moore decorate the school with special artwork. The paintings you see here are in the school’s gymnasium. 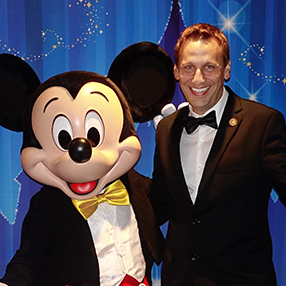 What a treat it was to have the opportunity to visit inside this historic Disney location! Thanks, to Kaye and the city of Marceline!